“It is well known that in the past there was this idea (a tetramer meeting) which, of course, is not balanced. The balance of the sides is not ensured by a meeting between the two guarantors in both communities in Cyprus”. In this way, Cypriot government spokesman Prodromos Prodromos, announced the existence of a proposal to the President of the Republic of Cyprus Nicos Anastasiades by diplomat Jane Lute. Mr. Anastasiades had a meeting today with the parliamentary leaders on the decisions of the administrative court regarding the cuts in civil servants’ salaries, and also informed about the contacts he had with Mrs. Lute on the Cyprus problem yesterday. It is obvious that the proposal that Mrs Lute passed on to the Cypriot President was not announced yesterday, I order for the political leaders to be informed first. 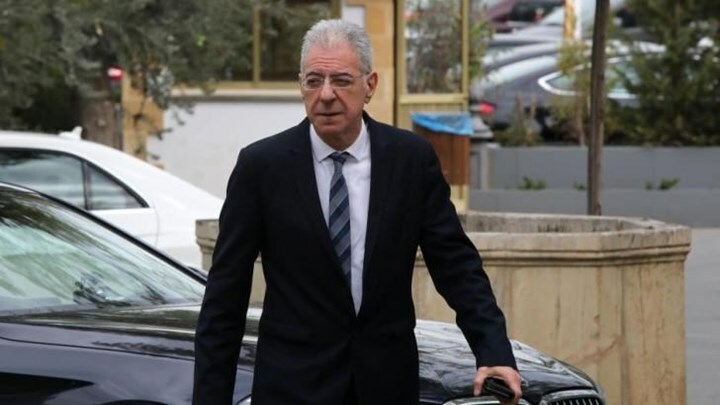 However, Nicosia seems to insist that at this time the most important thing that can be done is an Anastasiadis-Akinzis meeting, not a tetramer, in order to get some issues down and to see each were each side stands. However, it is noteworthy that the proposal for a tetramer was reportedly passed on by Mrs. Lute but the sender was Ankara. As IBNA wrote yesterday and after the Anastasiades-Lute meeting, the road to concluding terms of reference in the Cypriot is still long. Speaking of the terms of reference, we mean the agreed framework within which the Cypriot sides will discuss. That is, the aim is to pre-empt this framework, some of the issues of the Cyprus problem to be accepted by both sides, in order to begin a process of negotiation, mainly on the external aspect, ie security and guarantees. The issue of the positive vote that the Turkish Cypriot side wants in all the decisions of the future federal government is the big headache, which has put diplomats in Nicosia in search of other solutions and the result is the emergence of new ideas, such as the proposed parliamentary system of government. The proposal was rejected yesterday by the Turkish Cypriot side. Without justification for this rejection, it appears that the main reason is that Turkish Cypriots are politically degraded, since this system of government provides for a rotating prime minister rather than a president. At this stage, the facts point to an impasse, but time does not stop. In view of the UN Secretary General’s report Antonio Guterres, Nicosia wants to be recorded that the effort continues under Mrs. Lute. But before the latter even departed from Cyprus the “failure” in the terms of reference had already been published in the occupied areas, that is to say, in the work of Mrs. Lute, as officials see it there. Why this is so, it is not unfortunate to demonstrate it, since in the occupied and in Turkey there are recurrent references to other frameworks of solution. Diplomatic sources spoke at IBNA, pointing out that Ankara’s ultimate goal is the confederation, which is not officially spoken, but it is preceded by statements made against the particular effort made with Mrs Lute. As was the case last Sunday.